Successfully Added ZGPAX S99 Android 5.1 Smart Watch - 1.33 Inch, Bluetooth 4.0, Quad Core CPU, 3G, Pedometer, Heart Rate Monitor to your Shopping Cart. The ZGPAX S99 is more than just a timepiece, it is a fully functions smart watch for your wrist incorporating a quad core SPU and running on Android 5.1 with support for 3G bandwidths. 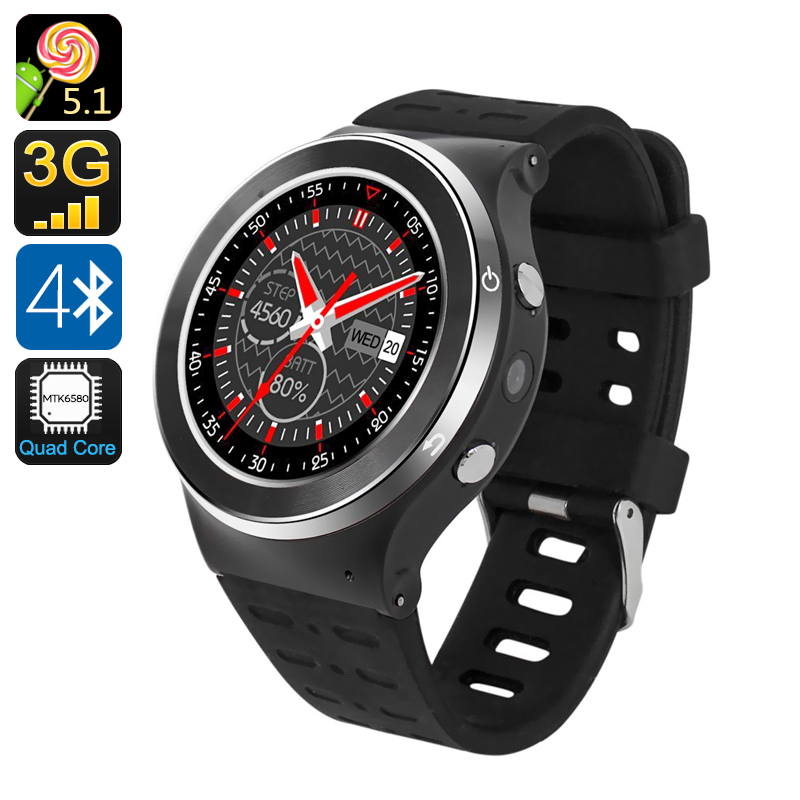 With a MTK6580 Quad Core CPU and 512MB of RAM this phone watch brings all the performance of a Smartphone but in the compact delightful form of a wristwatch. Operating on both the 3G and 2G bandwidths you can use cellular data connections for surfing the web and getting social media notifications as well as enjoy superb network coverage for calls and messages. The Android 5.1 operating systems is perfectly optimized for running on a smart watch and ensure a smooth experience throughout. With a built in accelerometer the ZGPAX S99 smart watch can be used as a pedometer to track steps taken and help you monitor your fitness. There is a sedentary remainder to prompt you to exercise through the day and with a heart rate sensor you can ensure you're exercise hard enough without overdoing it. With its 8GB of memory space you can store plenty of music on the smartwatch where there will be room for an extensive music library. This will also allow you to ensure you don't leave your phone behind anywhere with its anti lost functions. The ZGPAX S99 watch phone has a 1.33 inch circular screen with 320x320 resolution so you can enjoy a clear view of all the important data it displays. A Built in 5Mp camera allows you to snap photos throughout the day and with its 450mAh battery you can enjoy plenty of usage from each charge. This gadget comes with a 12 months warranty, brought to you by the leader in electronic devices as well as wholesale electronic gadgets..